2-Way Aeration Compressor Manifold - Aquascape, Inc. The Aquascape 2-Way Aeration Compressor Manifold is the ideal manifold for the Pro Air 60 Aeration Compressor. 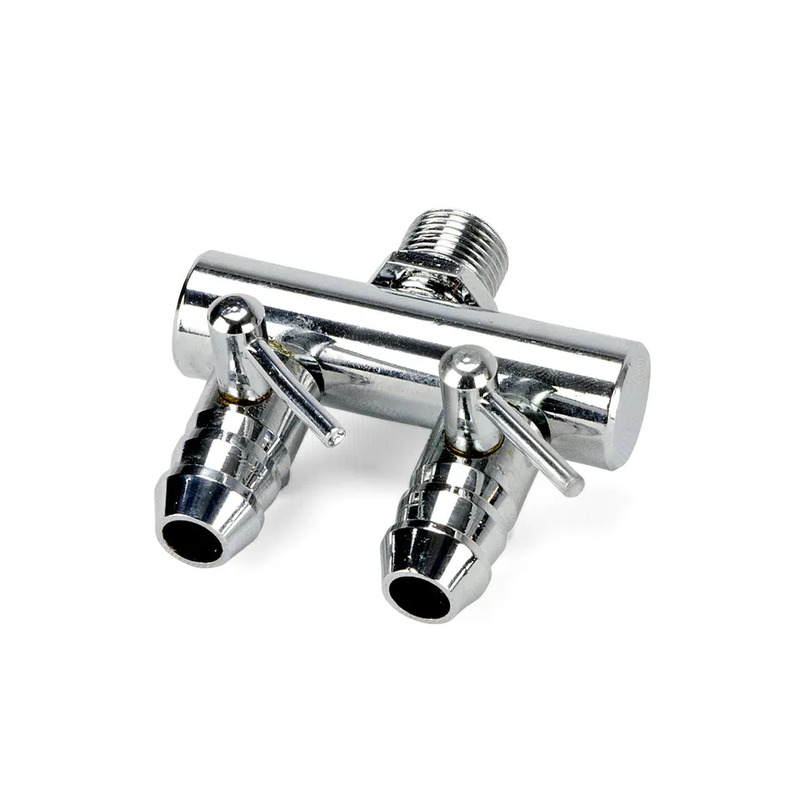 The durable, stainless steel manifold is engineered to thread directly into the compressor outlet. Installing the 2-Way Aeration Compressor Manifold makes it easy to install up to two separate airlines in your aeration system and provides the added benefit of airflow valve controls. The valve controls allow for individual adjustment or customization of the airflow for each airline. Aquascape is passionate about the products we produce, providing unique products, designs, and features that stand above the competition.